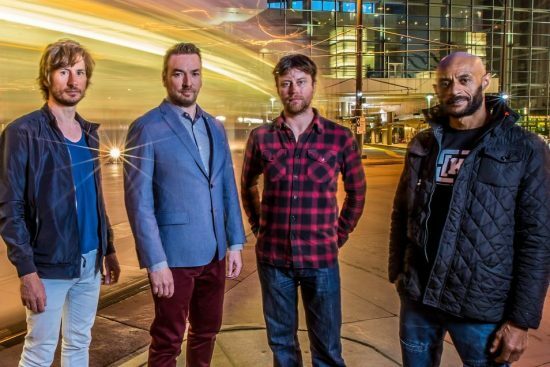 From the quartet's upcoming album, "Made for Pleasure"
The New Mastersounds-guitarist Eddie Roberts, drummer Simon Allen, bassist Pete Shand and organist Joe Tatton-will release their 10th album, Made for Pleasure, Oct. 2 on the Royal Potato Family label. The album includes guest appearances by Mike Dillon (vibes) and the West Coast Horns’ Joe Cohen (saxophone) and Mike Olmos (trumpet). JazzTimes is pleased to present this exclusive preview of “Let’s Do Another,” from the New Mastersounds’ forthcoming album Made for Pleasure.